A little over a year ago, 17 people were gunned down at the Marjory Stoneman Douglas High School in Parkland, Fla. Most of them were teens. Within the last two weeks, two young survivors of that attack have committed suicide, as has the father of a Sandy Hook Elementary School (Newton, Conn.) shooting child victim. The statistics are overwhelming. Gun deaths should be of utmost concern to every lawmaker at every level, but they aren’t. The numbers could be curbed with a nominal amount of regulation and it’s pretty important. Not to Sen. Kevin Cramer, R-N.D., though, who is more concerned that banks aren’t being sufficiently deferential to the firearms industry. Are we out of guns, already? No, but Cramer is concerned that financial institutions have opinions that they have no business having on his watch — on social issues in their boardrooms and choose to operate accordingly. That’s not how it works. Personally, I worry that the big banks will bring our economy to both knees, again. But Kevin chose to be a ward of the state as an adult, so we get the “Freedom Financing Act,” instead of a normal human being as our senator. I don’t know what particular problems the gun manufacturers are having, but if they need more credit, they should ask the big yellow dog in the red hat for some tips. After Trump couldn’t get a loan in New York because of his policy of not paying his bills, Don suckered the Germans at Deutsche Bank out of billions and more than likely laundered money for the Russian mob, too. Maybe Remington could try that avenue for capital? A quick flight to Frankfurt might get Smith & Wesson flush, but I think it will be OK without a pet senator under their feet. Sen. Cramer sponsored the bill, along with Sen. John Kennedy, R-La, who looks and talks like Mr. Haney on “Green Acres.” Neither is overly bright. Maybe some large banks actually have a social conscience. It’s possible. The huge ones, though? The ones that pushed worthless derivatives of derivatives under every regulatory nose? They didn’t seem to care about ripping people off then, before everything went to hell, and made George Bush antsy to get out of office. Those characters are different. The sociopaths in high towers. Do they care now? Too-big-to-fail financial institutions aren’t all run by sociopaths, of course. As far as I know, anyway. I wouldn’t think that a limited amount of empathy is a requirement, but warm feelings aren’t valued in that sector. We’re not dealing with a rogue band of Marxist snowflake banks, Senator. The only thing these businesses are interested in is money. They only think about things they could do to make more money and things they should stop doing because it makes them less money. If you have any money on you, they’ll try to take it. Banks have no interest in the issue of guns. Only what makes them more money, as I’ll keep repeating. They care about optics, public perception and PR, although not the Puerto Rico PR. If they pretend to care about schools getting shot up, and that pretense gives them favorable press and makes them more money, that’s what they’re going to do. Basing some business decisions on the viewpoints of customers and public opinion is an accepted marketing tactic. 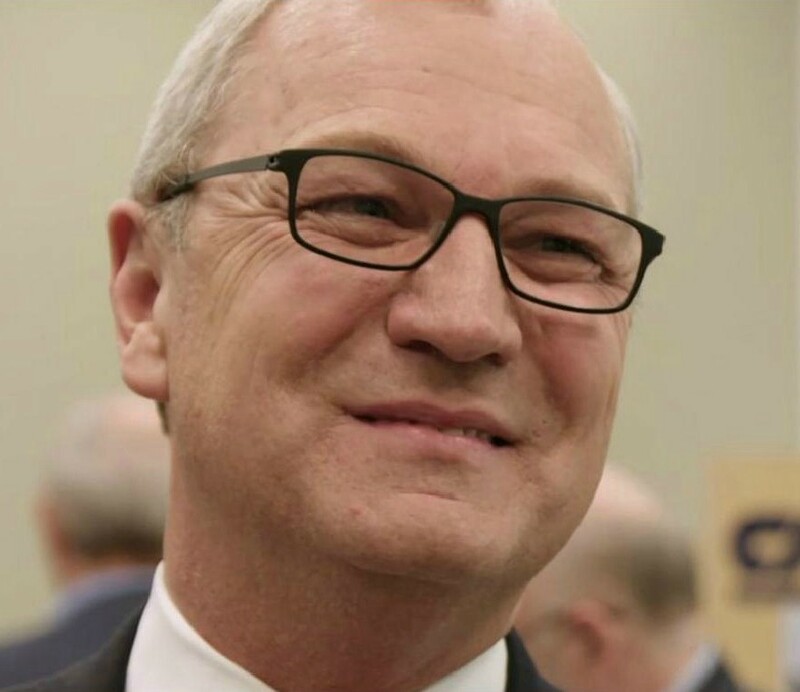 If the banks made more money by agreeing with Kevin Cramer’s dream for his gun friends, that’s how they would operate. But evidently, these giant corporations don’t like Cramer’s opinion because it is a money loser. But now, with the Freedom Freedom Freedom Act, Citigroup may lose its freedom to do business with whom they please. Their freedom of association will be infringed, and Kevin Cramer’s Act will punish them if they don’t comply. What is this, China? So, Cramer and Kennedy will have to discern the motive behind every transaction of Bank of America and a customer, which is impossible, with this dead carp of anti-free market legislation. We’ll probably need another layer of government. The senators from the bottom of the oil barrel claim that the manufacturing and sales of firearms are constitutionally protected, but I don’t see anything about those practices in the document. Americans have the right to bear arms if you want to give the Second Amendment a broad interpretation, but I didn’t catch the part where Bob is forced to make them. What if nobody in the U.S. wanted to be in the gun business. Then what? Are we supposed to hold imported pistols in our Facebook profiles? Maybe snowballs with a rock in the middle will make a comeback. Cramer is putting in a lot of illogical effort in for a small minority and that goes against his nature. Less than 50 percent of North Dakota households have a gun in the home, but actual ownership is way less and includes hunting rifles and shotguns. Those people aren’t the problem, for the most part. Three percent of gun owners have 50 percent of the weapons. Is this who Kevin is getting all worked up about? The overly armed bunker dwellers? The preppers? The white nationalist so-called patriot groups. Maybe Cramer should work on making the gun industry more palatable, by taking steps that would lower the death count. But that isn’t going to happen because it would be the honorable path. I guess since the crippling tariffs, the tax scam, the caging of children and other Trump antics haven’t worked out for him, or most anybody, Cramer is turning his limited attention span to something even more stupid. Prediction: Cramer will be remembered as North Dakota’s worst-ever senator. He and Hoeven are helpless. And Armstrong is taking his mentoring lessons from those two Trump worshipers.